Good will is the vital energy needed in all of our diverse relationships and it is close to the concept of love. We think of love mostly as an innate spontaneous experience, yet compassion towards all creation can also be developed through willful choice. When we attempt to replace competition with cooperation, conflict with dialogue, and consider the welfare of others then we are engaging our good will. In order to activate our good will, our task is to develop love and will in balance and strength. Compassion is not true compassion unless it is active, a definite synthesis of love and will. 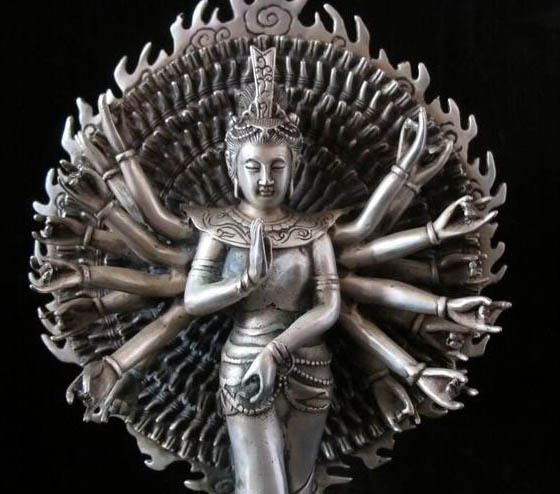 In fact, the Buddha of Compassion in Tibet is depicted as having a thousand eyes that see the pain in all corners of the universe, and a thousand arms to reach out and extend help to all those who are suffering. To be compassionate isn’t enough; we need acts of compassion. In his book The Act of Will, Assagioli wrote: “One of the principal causes of today’s disorders is the lack of love on the part of those who have will and the lack of will in those who are good and loving. This points unmistakably to the urgent need for the integration, the unification of love with will.” Assagioli calls on us to do this by first developing the weaker of the two, making both loving and willing equally available. Then we need to awaken and manifest the higher aspects of both. Finally, we must learn how to alternate between love and will in such a way that each arouses and reinforces the other. This all sounds great on paper, but is not so easy to achieve. The key here is focusing on developing a will-to-understand others and, ultimately, empathy. It means approaching every individual with sympathy, respect and wonder—as a “Thou.” We can do this because we all share the essential qualities of human nature, despite our cultural, religious, and historical backgrounds. We all hold the potential to be saint and sinner, criminal and victim, heroine and coward. Training ourselves to be empathic helps us to understand others and also ourselves as we are mirrored in each relationship. And don’t forget we must be able to also extend empathy to ourselves! Learning how best say to yes, no (or “not for now”) is also an important part of achieving good will towards ourselves as well as others. Too much good will can become overbearing, interfering, and even selfish! To love well and will well require a deep understanding of the human soul, especially one’s own. This understanding allows us to acknowledge and accept our separateness and differences, as well as to find joy in them and to be profoundly grateful. Only then can we transcend our differences and fully recognize our universal humanness and fundamental similarities. The mystery of being human is revealed inside each of our stories and inner struggles, imperfections, foibles, and triumphs. We are constantly influencing others, whether we are conscious of doing so or not, and whether we want to or not. Everything hinges on our intentions, our intention of doing good. It is our will that chooses and wants the good. Empathizing with each individual we meet brings us closer to our own humanness and helps us move towards Joy. This entry was posted in Other, The Will and tagged psychology, psychosynthesis, spiritual, will on May 29, 2014 by Catherine Ann Lombard.